Sonakshi Sinha made her foray into Bollywood with one of the biggest hits of 2010, Dabangg. The actress couldn't have asked for a better start to her career than being cast alongside the superstar Salman Khan in her debut movie. Her demure character as the village belle won her the Filmfare Award for Best Female Debut. Since her debut, the actress has been part of several top-grossing films including Rowdy Rathore, Dabangg 2, Son of Sardar, and Holiday: A Soldier Is Never Off Duty, which won her a nomination for the Filmfare Award for Best Actress in 2013. Apart from acting, the actress also appeared in a reality TV, Indian Idol Junior 2 as one of the judges alongside Vishal Dadlani and Salim Merchant. Born on June 2nd, 1987, Sonakshi Sinha is the daughter of yesteryear actor-turned-politician Shatrughan Sinha, and Poonam Sinha. Sonakshi grew up in Mumbai with her twin brothers Luv Sinha and Kush Sinha. She attended Arya Vidya Mandir School and later graduated from SNDT Women's University in Fashion Designing. Before she became an actress, Sonakshi worked as a costume designer for films like Mera Dil Leke Dekho. After making a stellar debut with Dabangg in 2010, Sonakshi starred in four films in 2012. Her first film of the year was Prabhudeva's Rowdy Rathore opposite the Khiladi of Bollywood, Akshay Kumar. The film opened to mixed reviews but it was a commercial hit with the opening day collection totaling to INR 15.6 crores. Her next film Joker, directed by Shirish Kunder received negative reviews and was a commercial disaster. She next starred in Ashwin Dhir's Son of Sardar opposite Ajay Devgn, the movie was trashed by the critics but it managed to do well in terms of box-office collections. The actress ended the year on a high note with Arbaaz Khan's Dabangg 2, which opened to mixed reviews but proved to be a commercial success. Year 2013 started on a good note for Sonakshi when she starred in Lootera alongside Ranveer Singh. The movie directed by Vikramaditya Motwane got a lukewarm response at the box-office but Sonakshi won several critical acclaims for her role as Pakhi, a young girl suffering from tuberculosis. 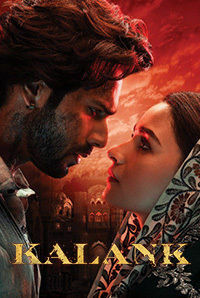 Her other releases of the year including Milan Luthria's Once Upon a Time in Mumbai Dobara, Tigmanshu Dhulia's Bullet Raja and Prabhudeva's R... Rajkumar opposite Shahid Kapoor received negative to mixed reviews. In 2014, the actress lent her voice to the character Jewel in the Hindi-dubbed version of the animated film Rio 2. Sonakshi next starred in A.R. Murugadoss' action-thriller Holiday: A Soldier Is Never Off Duty, which was the remake of the Vijay starrer Tamil film, Thuppakki. The movie opened to mixed reviews but was a box-office hit. In the same year, she appeared in a music video titled Superstar alongside Yo Yo Honey Singh. She later made her debut in the Tamil film industry with K.S Ravi Kumar's Lingaa opposite superstar Rajinikanth. The movie failed to live up to the people's expectations and was an average earner. The following year, the actress appeared in the Hindi remake of the super-hit Telugu movie, Okkadu titled Tevar opposite Arjun Kapoor. The movie was a commercial and critical failure. The actress' had two releases in 2016, Akira directed by AR Murgadoss and Force 2, an Indian action spy thriller directed by Abhinay Deo. Whilst both the films received average reviews, they turned out to be a commercial hit. Her 2017 release includes Noor, a comedy-drama directed by Sunhil Sippy and co-starring Kanan Gill, Shibani Dandekar and Purab Kohli and the thriller movie Ittefaq which also stars Sidharth Malhotra and Akshaye Khanna. Sonakshi Sinha wore 9 different sarees in the song 'Sanwaar Loon' from the movie Lootera (2013). The cost of each saree was around INR 30000 to INR 35000. The total cost went up to INR 3 lakhs. Sonakshi Sinha holds a degree in Fashion Designing and graduated from Shreemati Nathibai Damodar Thackersey Women's University. Sonakshi Sinha began her acting career as a fashion designer and has worked on the movie Mera Dil Leke Dekho in 2006 which starred Jackie Shroff, Archana Puran Singh, and Koel Purie. Sonakshi Sinha lost 30 kgs in preparation for her role as a village girl in her debut movie Dabangg (2010).